During the boom years, analysts just had to guess whether the Chinese economy would be growing at 10 percent or 12 percent. As more details about China’s chronic debt addiction emerged at the start of this decade, however, some analysts began predicting a full-blown financial crisis and more recently a sharp devaluation of the Chinese currency. One China expert, Fraser Howie, was never a fan of the Chinese regime or its credit-driven growth model. But he understands that China has many tools at its disposal to avoid a Lehman Brothers-style crisis and therefore has a more nuanced view of the Chinese economy, which is somewhere between boom and bust—a muddle-along scenario. He is the co-author of three books on the Chinese financial system, including “Red Capitalism: The Fragile Financial Foundation of China’s Extraordinary Rise,” named a Book of the Year in 2011 by The Economist magazine. 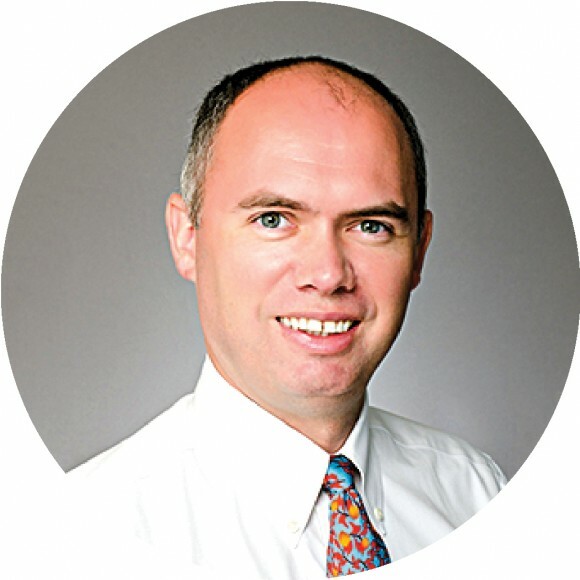 Over 20 years of living in Asia, he has been trading, analyzing, and writing about Asian financial markets. Epoch Times spoke to Howie about a China that will look more like Japan in the 1990s than the United States in 2008. 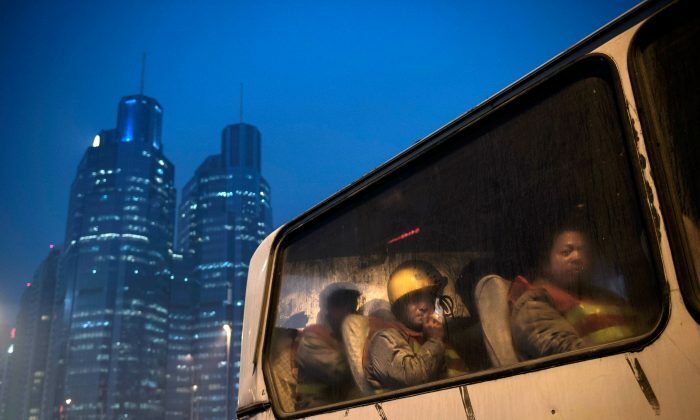 Epoch Times: Is a Chinese financial crisis imminent? Fraser Howie: Some people ask themselves why it hasn’t collapsed yet. It’s been bad for a while. But it can be bad for a long time without collapsing. The ability of the [regime] to pull accounting tricks and move money around from the left pocket to the right pocket—that can go on for a long time. First of all, there isn’t much happening on the good side. There is no evidence of any reform coming through. There is no evidence of embracing the market; there is no indication of the [regime] reducing their economic involvement. The good news about the Chinese economy is that it continues to muddle along, avoiding the worst outcome. One of the essential things for China is the will of the [regime] to withdraw and loosen its involvement with business. I see no evidence of that. The primacy of the state remains the same in the economy. But even on the bad side, it’s a somewhat benign environment. You had a pick-up in economic activity last year. You had stronger commodity prices, so in that sense, it’s not an upbeat environment, but it’s also not in panic mode. But that doesn’t mean that anything has been solved. They just avoided the worst possible scenario. Epoch Times: What are some of the stress points? Mr. Howie: There is a lot of stress in some illiquid bond markets and the interbank market, as well as the currency. What staggers me is the stupidity of maintaining arbitrary target numbers for the currency or foreign exchange reserves. You should be able to trade happily through seven yuan per dollar without there being a problem. But the People’s Bank of China (PBOC) has been very reluctant to allow the currency to trade through the full trading band. So now you have all the fear of the currency breaking through seven. That prompted the PBOC to redact some numbers that came directly from market data firms before the change of the year and say that the currency didn’t trade through seven [yuan per dollar]. This is ridiculous. What’s so important about seven? The currency is weakening, we know it’s weakening. Tourists at the airports are already getting seven and worse. It’s just the institutional market that is trading below. They take these numbers that become psychologically important, but are economically not important. The $3 trillion in foreign currency reserves is another example. Three trillion is a big number, but so is $2.8 trillion. This creates tremendous panic and concern about whether we will break the numbers or we won’t break them. China has to move away from this anchoring. They are slowly starting with the GDP; they are now talking about a range of numbers. Epoch Times: What are the positives? Mr. Howie: The good news about the Chinese economy is that it continues to muddle along, avoiding the worst outcome. That’s not to say that there won’t be a worst case or that things will be great, but it’s a muddling along type of thing. Now we go into 2017, and one thing that looms large over everything is Donald Trump, and then domestically you have politics in China, where they are selecting the new members of the Politburo later this year. It’s a time before the storm. Lots of reason to think we are going to see more volatility later this year. Epoch Times: What do you mean by volatility? Mr. Howie: Some investors a couple of years ago were keen to push me to say that there is going to be a bank collapse in China. So if you think you need a bank to go under like Lehman Brothers to have a crisis in China, I don’t see that ever happening. The Chinese Communist Party was horrified in 2008 that Lehman went under; they even questioned the credibility of the U.S. government. If that’s your definition of a crisis, it’s not going to happen. That’s not to say you are not going to have a crisis play out in another way. Even by official numbers, the growth since the high point in 2008 has halved, and the debt has doubled. That looks like a crisis in some ways. But it’s not an acute crisis; it’s a chronic, long-term crisis. I always compare it to smokers. Even people who smoke and have bad diets can live up to 70 or longer. They are not very active or mobile, they have bad skin, they don’t have much blood flowing through their extremities, they get diabetes. There are lots of knock-on effects. So China has gone through its bingeing teenage years and early manhood. Too many drugs, too much alcohol, too many women, all the usual vices, not enough exercise. They could do this because they had a lot of slack in their economy, like a growing workforce and a global environment that has supported them. Now some things have changed domestically. Some things have changed internationally, but clearly the lifestyle of their youth isn’t viable anymore. You don’t have the global economy catering to them anymore, you don’t have the growing young population. Instead, you have an aging population and a shrinking workforce. And all that capital and wealth that you have built up in the boom years has not been well invested, so you can’t live off it in the leaner years. Also, the international community didn’t tell the young man leading a wild life about the consequences; no one told him things would get tougher, that his health would suffer. With China, they only told them what they want to hear: You can grow indefinitely. Do you get a thing like an acute crisis? It won’t be a Lehman crisis; it will more be like a Japan crisis. The similarities are there: a large country unable to reform, much happier to postpone and deny rather than writing down debt, closing down companies, things like that. Epoch Times: Some people say that because China has a lower GDP per capita than Japan at the height of its boom, China has more room to grow out of the chronic crisis, through more infrastructure investment. Mr. Howie: On that sort of reasoning, Somalia must be the best investment opportunity on the planet. They have a really low GDP per capita and no infrastructure. So look at all the catch-up growth potential. China has failed to rebalance. They are still too dependent on fixed-asset investment and old industry growth. Yes, there has been an increase in services and a rise in internet and tech like Alibaba. But a lot of that is just substitutional; they are buying online rather than going to the shop.